Donations made through this button will go directly to TOTOL Camp. This camp was started by the Truck of Love 30 years ago and is still going strong. 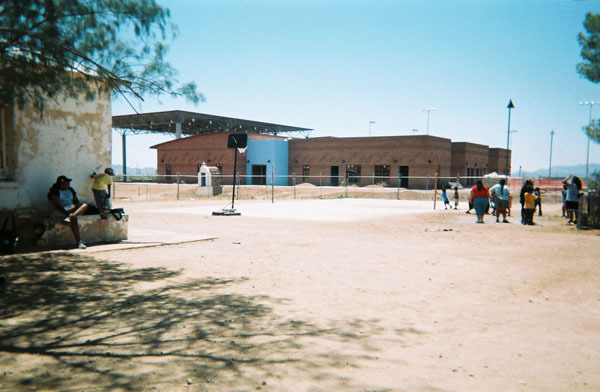 The first year that the camp was run by the O'odham Nation was 2012. We continue to be excited to help them in any way we can. Camp costs a lot of money to put on. There are vans with many tanks of gasoline for transporting the 200+ children and O'odham counselors from their villages to camp in Pisinemo. There is food for two meals each day for 200+ children, counselors and guest presenters. There are craft supplies, sports supplies, first aid supplies and a myriad of little things that come up each day. TOTOL Summer Camp is a collaborative effort with a long history. 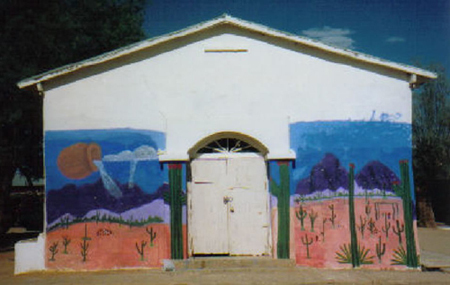 A small group of 9 volunteers first arrived in the village of Pisinemo on the Tohono O'odham Reservation in 1987. Pete and Sue Fullerton brought volunteers to help run a summer camp because they had been told that these youth had few summer opportunities. Expecting only 20 youth, the group was surprised by the over 70 children and teenagers who came to play and learn that first day of summer camp. And the kids keep coming! TOTOL Camp has gone from serving 70 children to over 200 children in the southern most part of the Reservation, the poorest and most remote part of the land. 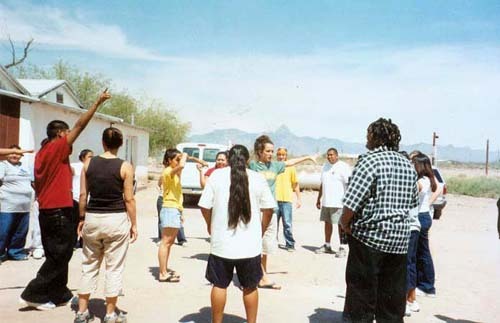 Each year more and more of the Tohono O'odham work the camp and take leadership roles, with the 2012 Camp being the first year that the camp was run by the Pisinemo District of the O'odham Nation. Truck of Love continues to be excited to help them in any way possible. TOTOL Summer Camp is guided by clear values. We believe in the beauty of each individual. We welcome all youth to participate in camp, regardless of challenges they might experience in other aspects of their life. All youth deserve an opportunity to become positive role models and to experience the joy that comes from playing in a safe environment. We believe that all our actions must stem from caring and love, and that this is the key to the success of TOTOL Camp. Essential to this philosophy is the respect with which we treat youth. We strive to share opportunities to take on leadership roles, contribute ideas, and provide insight with all youth participating in TOTOL Camp. TOTOL Summer Camp draws over 200 participants each day of camp. 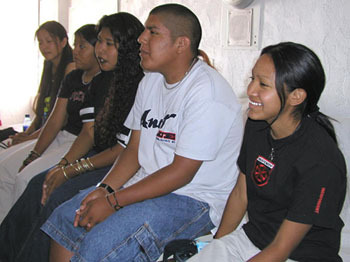 We welcome youth from across the Tohono O'odham Reservation, and provide free transportation to youth in the Hickiwan, Go Vo, and Pisinemo Districts. There is no fee for TOTOL Summer Day Camp. 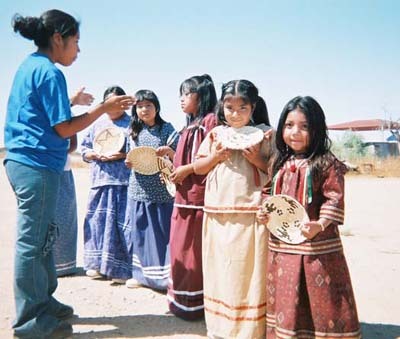 Camp includes hot breakfast and lunch, sports and games, arts and crafts, cultural leadership activities, and special activities like experiential science, music, nature, and O'odham language. 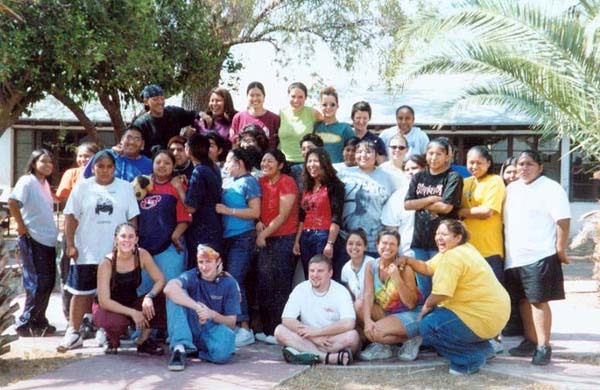 The TOTOL Camp counselors are volunteers from out-of-state as well as the O'odham Nation. Counselors attend a 5-day leadership training that includes self-esteem and group-building activities, training in leading groups and facilitating activities, conflict resolution, and an emphasis on O'odham himdag (culture). Some miracles happen over time. 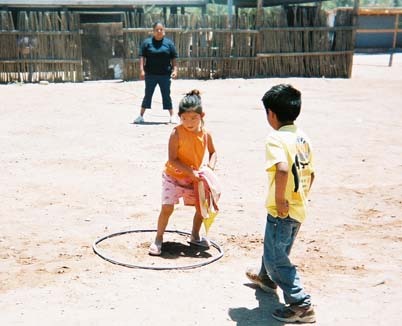 For the past 24 summers we have been part of the unfolding miracle of what began as the Mission San Jose Summer Day Camp and has evolved into the TOTOL Day Camp on the Tohono O'Odham Nation in Arizona. This next June will be summer twenty-five! 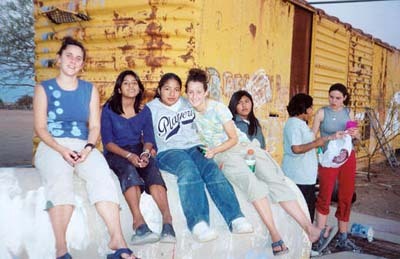 In the spring of 1986, as we were leaving the village of Pisinemo, having delivered a truck load of clothing and household items to the Mission, I asked Sister Patrice: "Is there anything else we can do for you?" Her reply was very simple: "Can you help us create a day camp for the children? The boarding schools have closed and the children will be home all the time now. Summers are long and hot and there is nothing for the children to do." My reply (as my thoughts and concerns raced around my brain): "Yes. We've never done anything like this, but we work with youth and I'm sure we can get people to help." We had no idea how to "do" a camp. We'd been loosely connected with some small camps that our children attended. We'd worked with youth in our home parish of St. Nicholas in Los Altos, California. We were brimming over with willingness. But we'd never run a camp. Three months later we were there with nine brave volunteers (including us) and camp happened. We like to say it was one of the hardest and best weeks of our life. That week changed our lives. I often tell the story of the morning that altered my outlook on what was happening at camp. It was about 6am on the Wednesday and I was exhausted, looking for some peace in the morning desert. I was walking across the basketball court anguishing over the events of the first two days of camp. The children were so quiet. It was hard to know if they were happy to be at camp. The volunteers we'd brought with us were beyond exhaustion. Sister Patrice and Sister Anne were laboring in the kitchen with no air conditioning. The days were hot and long and then the monsoon rains made everything just a little more difficult. As I walked that morning, I saw a person running from the east side of the village. She got closer and I saw it was one of the girls in my teen group. She ran toward me and without slowing, reached out and pushed a crumpled piece of paper into my hand. I stopped and uncurled the remnant of paper that had a poem written on it. I've lost the paper and the poem, but the message is still clear in my mind. She had written: Why do these people come 700 miles to be with us – why? They come here because they love us. We have been blessed to see and hear. We thank God for these marvelous awesome twenty-five summers. An anonymous O'odham counselor gave Tohono O'odham Truck Of Love (TOTOL) Camp its name the year after Pete and Sue Fullerton retired from leading the summer camp. The name reflects the shared contributions of O'odham and non-O'odham volunteers. It also pays tribute to the camp's philosophy founded in Truck of Love Ministries. If you have attended camp as a participant or as a counselor, and would like to share your photos with the TOL community, please send them to webmaster Katharine Gibson (kamagib@gmail.com).